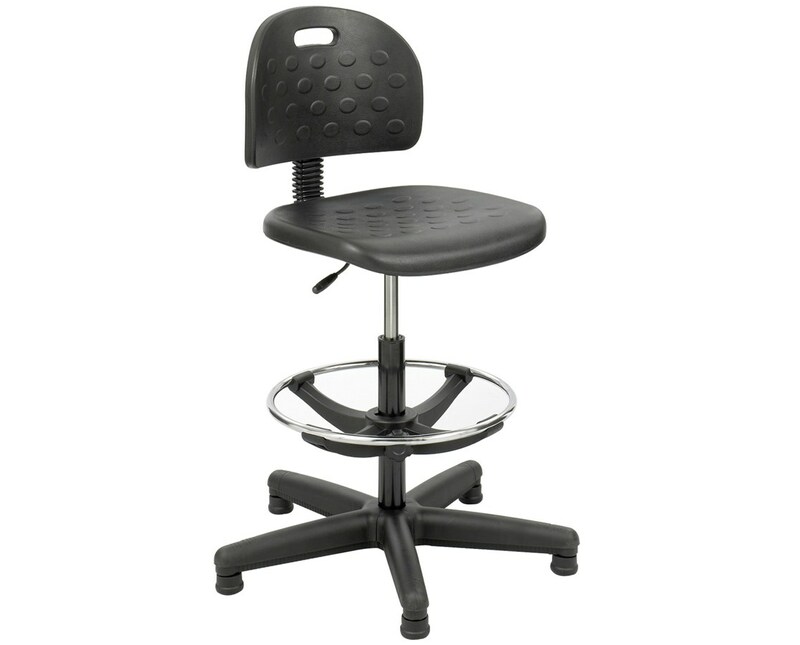 The Safco Soft Tough Workbench Chair is a highly adjustable task chair can stand up to tough use yet still remain comfortable. It features an adjustable height of 22 to 32 inches and a curved “waterfall” edge on the front of the seat cushion, which reduces pressure on the legs and helps maintain good blood circulation. The tilt-angles of the back and the seat can be adjusted independently with two pneumatic control levers and this gives a wide range of configurations. 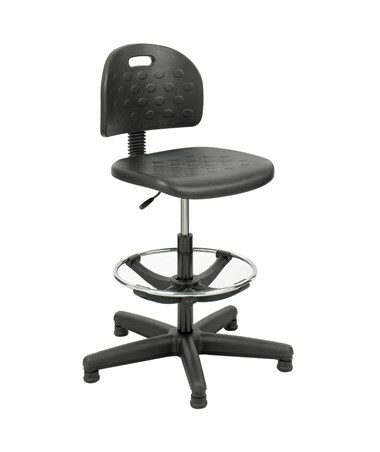 The back’s height is also adjustable, while the seat can swivel around a full 360 degrees. 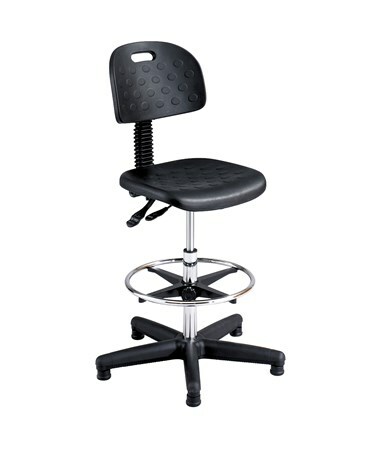 This drafting chair has a weight capacity of 250 pounds and firmly stays in place with the help of its floor glides. Also included is an adjustable footrest for added leg comfort. It is available in an economy and a deluxe type, which differs in height. The economy type has an overall height of 39 to 49 inches, while the deluxe type is 36.5 to 48.5 inches in height. The chair’s seat and back have cushions made of Polyurethane, while the base and footrest are made of steel. It is easy to assemble and meets ANSI/BIFMA safety standards. 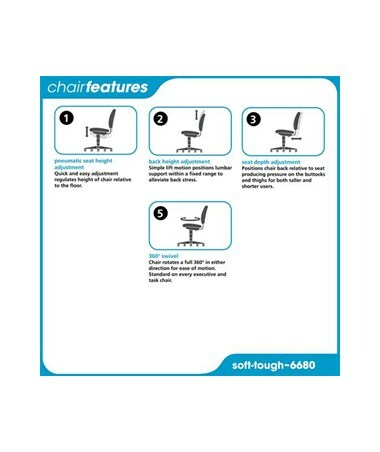 The Safco Soft Tough Workbench Chair is available in two types. Please select your preference from the drop-down menu above. Adjustable height of 22" to 32"